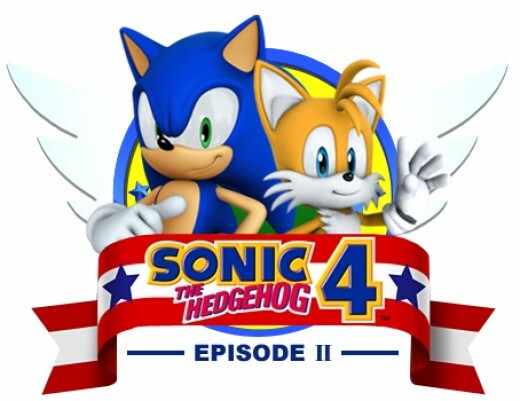 Sonic 4 episode 1 was released in October 2010 and I thought that the 1st episode in the series was a solid entry in to the Sonic series. Some people didn't like it but I personally enjoyed episode 1 but now fast forward to May 2012 and the 2nd episode has been released with the biggest addition being Tails added as either the CPU or optional 2nd player either local or online. Lets see if episode 2 can deliver another good episode. are like me and hate the underwater parts. a local friend or an online friend to lower the frustrating parts of Sonic 4 Episode 2. Online also gives us more replayability as you can add your scores to the leaderboard and you can replay levels to try and become one of the top users on the leaderboard. The soundtrack in Sonic 4 Episode 2 was some of the worst I have ever heard. Sonic game usually have some of the best music in gaming but Episode 2 features annoying and repetitive music that gives you a headache after a while. Most of the music in the game is looped after about 30 seconds and is one of the major reasons why it gets annoying after a while. 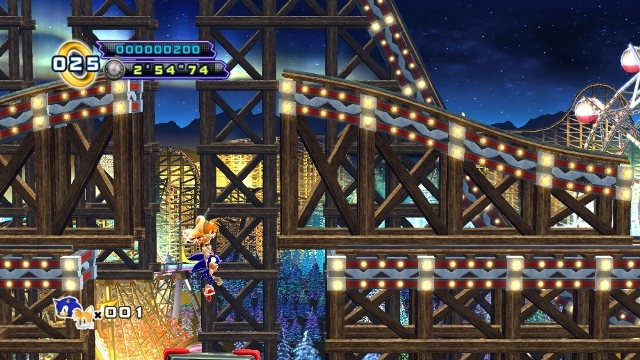 Another thing I would like to touch on in just a little detail is the stage backgrounds these in my opinion are very hit and miss as some can look really good while some just look boring and uninteresting its not something major for me I just thought I should let it be known to people who might care about the level designs. The big question for me was "Is this going to be fun?" and it might be for other people I can say that this game is 100% fun, yes Episode 2 still managed to be a fun game because of things like speeding through levels and trying to get Chaos Emeralds in special stages and they are still as fun as it was many years ago with Sonic 2. One of the biggest things I look for in video games is if they are fun and Episode 2 managed to be another fun entry in the Sonic series. As an added bonus anyone who bought Episode 1 gets the Episode Metal for free. Episode Metal tells us what was going on with Metal Sonic between Sonic CD and Sonic 4 Episode 2 and yes you do get to play as Metal Sonic. I personally think this is an awesome move by Sega to reward people who bought Episode 1 normally this would have been paid DLC but to get it for free is very cool by Sega. Another Sonic game another good entry although not as good as Episode 1 it was still good. Gameplay is still as fun as ever, Sega giving the buyers of both Episodes extra content in return was a cool way of saying thanks to the buyer and the online features are some of the biggest positives coming from Episode 2 while CPU Tails and the soundtrack get a thumbs down for me. The game is out right now for both Xbox 360 and PS3 it costs 1200 points/$15/£10 which is quite a bit of money but I do recommend that you purchase it, maybe wait until it goes down to 800 points at the end of the year. By the way, have you got a review for Episode 1? 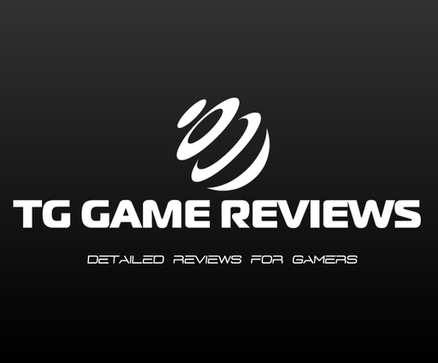 No I only started reviewing games in March of this year but I probably would have give it an 8/10. So you think it's better than 2? I think the level design is better in 1 actually.